Jaipur : Research shows that every 5th Indian between the age group of 20-30 years, suffer from spinal ailments – a marked 60% increase in spinal problems amongst the youth! These startling insights make us realise the impact of the changing lifestyle on millennials, and how! So what is the cause? According to Dr Zulfi, Director, Physioactive India & Sr. Consultant Physiotherapist; sedentary lifestyle, over-use of cellphones, laptops and other electronic devices has clearly been the trigger. With people sitting for over 6 hours at their workplace, the spine has taken a good beating in trying to adjust to the long hours of standing and sitting with very little exercise. Physiotherapists have had patients come to them complaining of pain in their back, neck, legs, hands which over a period of time had become chronic for most of them. While the right line of treatment is important, the correct diagnosis is absolutely crucial to help the patient get out of the discomfort. 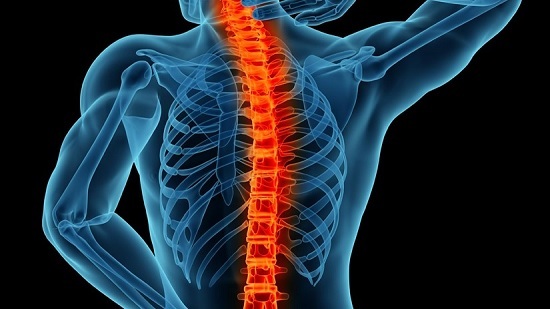 Is it an injury that caused the spinal ailment? Or is it the lifestyle that led to the chronic condition? Or is it perhaps a pinched nerve in the spine that rendered the patient immobile? The role of the doctor is pivotal here. The doctor would begin with the history of the patient and understanding his/her lifestyle and/or the patient’s job, to understanding the duration of the pain and its effect on the hands, legs or any other part of the body – the doctor would first delve into details about the condition at hand. The next step is the physical examination which gives better clarity. Almost 90% of the diagnosis can be done through just this. In some severe conditions, doctors might recommend the patient to undergo tests such as an X-ray or a CT Scan for understanding the anatomy of the bones; an MRI would be suggested in case the doctor suspects damage to the soft tissues. What more? The job of the doctor finally is to outline the right line of treatment basis the condition which could include Manual Mobilisation, Dry Needling (to locally release the pain in the muscles), Ultra Sound Treatment, Spinal Decompression Therapy, Shockwave Therapy, Laser Therapy followed by exercises. In case of chronic conditions, an average of 4-6 weeks is what it takes for patients to recuperate from their problem, provided they follow the instructions of the doctor. The duration varies from patient to patient, basis their condition, their age and the activities followed on a daily basis. At the same time, it is crucial for the physiotherapist to observe every move of the patient and track the body’s response to the treatment so as to know exactly when to change the course of treatment (if necessary). This step-wise approach is one that needs to be followed carefully while keeping a vigilant eye on the progress of the patient so as to ensure that the condition does not recur. Also, it is essential for the patient to continue to meet the physiotherapist and avoid doing activities that could lead to further strain on the recently recovered area of the body. Keeping the above in mind, it is believed that the spine can certainly stay fine if one ensures good care and have a healthy lifestyle.